About the Show – Business: Engaged! Business: Engaged! is your portal to behind-the-scenes stories of success and confessions of failure. Carrie Perrien Smith MBA talks with leaders in the world of small business about how they conquered their kingdoms — what worked and what didn’t. From marketing and advertising to operations and human resources, you’ll hear techniques and solutions that you can apply to your business now. She’ll delve into business models, financial pitfalls, and best practices. Join her as she explores unique and proven solutions to the challenges today’s enterprises encounter. Candid and relevant but informal, you’ll bookmark this show for must-hear business radio. 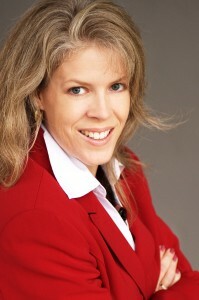 Carrie is a training, communication, and publishing industry veteran. She ran screaming from her corporate training and communications career over a decade ago. Even though she sometimes misses regular paychecks, a cubicle with office supplies she didn’t have to purchase, and normal working hours, she wouldn’t trade the entrepreneur’s kill-what-you-eat lifestyle (most days, at least).